Museum van loonis one of the most prestigious museums in the place. The destination is located alongside a canal side residence and has stunning views. 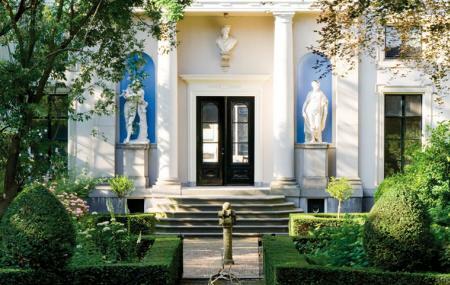 The museum was the home of the famous aristocratic Van Loon family that lived in the place for a long time. The place is open seven days a week and offers a look into the past. The destination also has some of the finest art pieces which are private art collections. Take a tram or bus from Amsterdam, MuntpleinTravel Terminals. How popular is Museum Van Loon? People normally club together Church Of St Nicholas and Museum Amstelkring while planning their visit to Museum Van Loon. Want to see what it was like to live in Amsterdam during the 1600's? Then have a stop here. I was surprised by how little information was provided, which makes me think that it may still be in use for personal lives outside of museum hours?? The rooms are fantastic and beautiful, very elaborate. The garden is very nice to rest in, and you can stop at the cafe. I'm not sure it is worth going out of your way to see unless this perspective intrigues you. This is a museum of the family that still lives in the upper floors. It could really benefit from a headset tour and some historical context of the family paintings and photographs. The most interesting thing is that this house has been in the family for ages and the original Van Loon was one if the co-founders of the Dutch East India Company. They should have the photos identified and a family tree would be very interesting. It was on our I Amsterdam pass, but I wouldn't go out of my way to visit. The house is very beautiful and possibly the garden is even better. The apple cake and tea in the garden was particularly memorable. Definitely have the apple cake! The house is full of beautiful furniture and decorations and the history of the van Loon's was fascinating. Well worth visiting. Amazing garden in the back. Real furniture and kitchen for the era. You can get a real feel of the life in the past. Not very crowded.